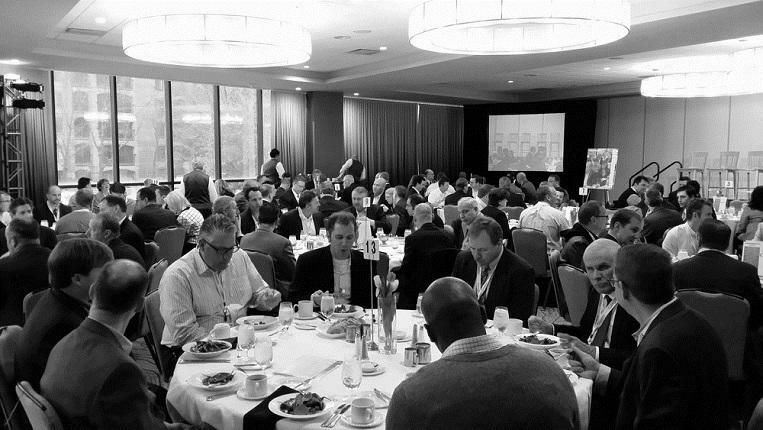 CIOsynergy; a symposium that has redefined problem solving within the office of the CIO, here we'll explore the successes, failures, and battles of these officers on the frontlines of innovation. Moderated by CIOTalkRadio host Sanjog Aul, and led by a panel of CIOs, we'll discuss the single most challenging task of IT leaders today - data protection and management. Together we'll build an ultimate roadmap for the Office of the CIO through the collaboration of New York's top IT leaders on December 2. Ensuring enterprise data security - it's what keeps the CIO up at night. While IT strives to deliver solutions that drive and accelerate business, the weight of data security and corporate compliance always tails. And with data breaches on the rise and mobile employees accessing data from any device, anywhere, CIOs are up against more hurdles than ever before. We could not have chosen a better venue to exchange ideas and best practices for the protection of corporate data than under the umbrella of an epicurean lunch and revealing discussions at this stunning marvel in New York. As you check-in for CIOnewyork, join us in the lounge for our welcome reception - an opportunity to meet the IT pros behind the Big Apple's most innovative enterprise companies, and take a peek at the solutions they are implementing to ensure data security and maintain compliance. Dine in style with leading IT peers at a luxurious venue, while you indulge in an epicurean, 5-star lunch you'll find yourself in good company as you're with the who's who of enterprise IT in New York City. Led by Moderator Sanjog Aul, we will set the tone for an afternoon of discussions without borders; a think-tank that goes beyond the stage to examine the new challenges entering of the office of the CIO. A moderated CIOpanel where IT leaders take a tell-all position to explore the direction of enterprise IT. They share their successes, failures, and celebrations while navigating a path to innovation. Coffee break: Network with your peers courtesy of data protection and management market leader, Code42. Brian, joined by Eric Hall from Columbia Business School, will discuss the trend of rapidly increasing endpoint data growth and its implications on enterprise IT's ability to maintain control over data, while ensuring data security and compliance. Work is no longer a place, and Bring-Your-Own-Cloud employee mentalities are putting sensitive, corporate files at risk. Hear new strategies for the protection and management of enterprise data as it shifts from the data center to employee devices on the edge. Brian leverages more than 20 years experience building and inspiring teams in his role as president and COO for Code42. Prior to joining Code42, Brian served as Executive Director of Sales – Americas for enterprise storage at Dell. Before that, he was Vice President of Global Sales at Compellent Technologies, which was acquired by Dell for $960 million. Previously, Brian held an executive role at StorageNetworks, and also served as a Captain and instructor pilot in the United States Air Force flying F-16 fighter jets. A time to compare, contrast and discuss directions from within the office of the CIO - a new dimension to problem solving as it moves from the stage to our audience. Application is the key to success, so let's apply what we've learned. This time will provide actionable steps for the CIO. Gather over cocktails and hors d'oeuvres with a community of IT leaders; the change agents of tomorrow's enterprise.